In September, SpaceX unveiled its interest in providing suborbital point to point service, “anywhere on Earth in under an hour.” The video depicting the service included using a high-speed ferry to quickly take customers to an offshore launch platform. This would presumably be located more than 22 kilometers offshore, the boundary between territorial waters and international waters, but still inside the 370-kilometer exclusive economic zone for the country the ferry is leaving from. Locating the platform 50 kilometers offshore would add at least 30 minutes at each end of the space flight. Therefore, estimating the duration of ferry ride is at least as important as estimating the duration of the flight to assess time saved versus a jet flight. It may be twice as important if the city pairs are a 30-minute spaceflight apart. A good first route might be Los Angeles to New York City. This ferry model, not surprisingly, may work well leaving from SpaceX’s port on Terminal Island west of Long Beach between Interstate 110 and Interstate 710. This is 18 minutes by bus in usual traffic from the Long Beach airport and 22 minutes from Los Angeles International Airport (LAX). Given that some customers may arrive into LAX, a good spot for a second ferry might be near the SpaceX headquarters and LAX. Ferries from both locations could converge at the SpaceX platform. Given the proximity to the Channel Islands, the platform would likely be in territorial waters to be within 50 kilometers of either port. A good first route might be Los Angeles to New York City. The Los Angeles-New York City route carries 3.4 million passengers per year, which is just short of the approximately 4.5 million passengers needed to put it into the top 10 routes by passenger count in the world, and is in sixth place in seat kilometers with 8 billion. There is only one country’s set of regulatory bodies to deal with for LA-NYC. Another advantage is the ferry situation at the New York end also looks feasible. Even though this route is only 5.5 hours and after subtracting the 30 minutes at each end on the ferry, there is still a potential four-hour savings. Having check-in occur on the ferry (and customs for international flights), could protect the time savings. From John F. Kennedy Airport (JFK) to Riis Landing, at the end of Flatbush Avenue where Princess Cruises leaves from in Jamaica Bay, is 19 minutes. It is also 36 minutes from Newark Airport. If a second location for a ferry route were used, the best spot might make it most convenient for travelers from Philadelphia. It looks like having the platform in international waters is also feasible for New York City. JFK has a helicopter option to get to and from Manhattan. There are three Manhattan heliports that have regular service to the airport. If the launch platform itself had special helicopter service for passengers as an alternative to the ferries, that could further ensure the fastest total trip time. Both LAX and JFK are part of other routes in the top 15 in annual seat kilometers. LAX and JFK to London’s Heathrow Airport are both in the top four. JFK to Dubai and LAX to Sydney and Seoul also make the list. With thawing relations with North Korea, Seoul may be feasible from a security standpoint given it is 50 kilometers to Kaesong, North Korea. The Incheon airport is also on the ocean, but rather than including a map, I would suggest waiting until after North and South Korea merge before adding Seoul as a rocket destination. Busan, South Korea also has an almost good candidate airport and is about 220 kilometers from Kitakyushu, Japan, but that would probably make it a second or third tier choice for starting service. The time savings would likely be 14 hours on the LAX-Sydney route and JFK-Sydney would be a 21-hour savings—it would be the only non-stop service. It is probably better to try to make Tokyo the first Asia destination. Here the port situation is more challenging. Narita Airport is somewhat inland, about 50 km to Choshi, Chiba, but this takes 68 minutes. Haneda Airport is on Tokyo Bay, but both Tokyo Bay and Sagami Bay seem unlikely to be best for an offshore launch platform. Haneda Airport to Tateyama, Chiba, is 66 minutes. Perhaps for challenging cities like Tokyo for ferries, it would be best to exclusively use helicopter transport for passengers. The Mi-26 Halo is the world’s largest helicopter in production. The passenger variant, Mi-26P, can carry 63 sitting in airline seats and has a top speed of 295 kilometers per hour. If the Japan situation can be solved, one of the most traveled kilometer-seat routes is Narita Airport to Honolulu. Therefore, another potential United States launch platform could be in Hawaii. A ferry is a good choice at the Honolulu end. Heathrow Airport also may need helicopters assuming that a launch platform would be accepted in the English Channel or the North Sea. It is 91 minutes to Brighton from Heathrow and 100 km by ground transportation. It is similarly challenging of finding a good offshore platform location near Paris, Brussels or Amsterdam. Rome, Barcelona or Edinburgh might be better choices for ferries in Europe. Finding a sponsor that would be willing to subsidize the initiation of service might make something near Isle of Man a good candidate. Cape Canaveral, Boca Chica, Galveston, and Honolulu might also be good candidates using this criterion. Rounding out the list of airline route seat kilometer favorites, Dubai, Hong Kong, Sydney, and Taipei look good for ferries. For Singapore, probably helicopters are best. Houston might be a good addition, but probably would need sea plane or helicopter service. Given the politics of keeping rockets secure from potential adversaries and terrorists, Dubai, Hong Kong, and Taipei start looking worse. Sydney looks like the best choice for a third city and Tokyo and Singapore for fourth and fifth given the helicopters. The time savings would likely be 14 hours on the LAX-Sydney route and JFK-Sydney would be a 21-hour savings—it would be the only non-stop service. How much will the price be? Elon Musk mentioned that the BFR flight could be had for the price of an economy ticket. I would assume a full-fare refundable economy ticket for a non-stop flight purchased a few days beforehand and no Saturday night stay-over for the business destinations. That is about $6,000 round trip for a Monday flight and a Thursday return from Los Angeles to Tokyo next week, but that likely varies by the day of the week. Whatever it is, it is likely to vary with what others are charging for non-stop flights, even if the cost is likely to be relatively invariant between Los Angeles and New York and Los Angeles and Sydney. We are already seeing that SpaceX is not planning to drop prices for first stages that can fly 10 times versus twice even though this may cut their own costs by maybe one third. Their next big disruptive move on orbital prices may come after BFR is proven out. The ferry can take all the BFR passengers each inside a Tesla Model X (7 to a car), but we need a narrower estimate of the capacity of the BFR to calculate how many helicopters are needed. The BFR has 825 cubic meters pressurized volume. Assuming an all-seat, no common-area version of the BFR, this would be 39 percent of the A380’s 2,100 cubic meters or a little bit more than the A380’s 775 cubic meters main deck. Main cabin seating in an A380 varies from 258 in a mixed class configuration for British Airways to 437 all economy for the densest configuration Emirates uses. Most airlines have various non-economy options, primarily on the upper deck. It does not take too many city pairs for suborbital point to point service revenue to dwarf the Earth-to-anywhere-else market. Assuming the 258 mixed-class-configuration number for the BFR, that would require five helicopter flights to fill. If the offshore platform is a 30-minute trip for the Mi-26, then there would need to be perhaps six helicopters and perhaps three or four helipads on the offshore platform for the earliest passenger to board the helicopter approximately 45 minutes before the last passenger arrives at the platform. For airports that are 70 kilometers from the platform, four full flights of 63 passengers, for a total of 252, could be accomplished with two trips by two helicopters. There would still need to be a spare helicopter. $774,000 seems like a pretty lean cost for a single flight, but SpaceX continues to surprise with its leanness. (We will see if SpaceX ever goes IPO and if more people sell it short than Tesla.) Assuming $774,000 revenue per flight would generate $282.7 million for daily service between two cities (which is an overestimate since 2015 passenger load factors were 80 percent worldwide.) At one flight per BFR per day there would need to be two BFRs plus a spare in each city. The spare could be shared among service to all destinations from a particular city. At two flights per BFR a day, that would reduce the space frame requirement to one BFR plus the spare requirement. At four flights per day, that would allow one BFR to fly two round-trip flights for twice-daily service without increasing the spare requirement. Looking at the buy side, the Concorde was able to sell one-way seats for $7,000 near the end of its commercial service in 2003, which is about twice what Elon Musk seems to want to charge. Concorde service generated £30-50 million in operating profit for BA during its heyday. For twice daily service between London and JFK (and once weekly to Barbados during some seasons), BA needed seven airframes. Back on the sell side, if SpaceX can produce BFRs boosters for $185 million and $150 million for the ships, they might need $2.345 billion for seven boosters and seven ships. If that supports twice-daily service like Concorde, that might generate $565 million per year in revenue. It does not take too many city pairs for suborbital point-to-point service revenue to dwarf the Earth-to-anywhere-else market. Getting more granular, the BFR booster might fly more often per day than the ship. If a booster can fly twice as often as a ship, a city fleet might comprise seven ships and four boosters. Such a fleet flying each ship four times per day and each booster eight times per day (plus a spare of each that would be idle) would be able to support service to six other cities. My pick for the seven cities (in order) would be Los Angeles, New York City, Sydney, Tokyo, Singapore, Rome, and Honolulu. The 21 pairs for the six cities would generate about $23.74 billion per year if each pair has twice daily service. The total capital cost for the 49 ships and 28 boosters to support them might be $12.53 billion. 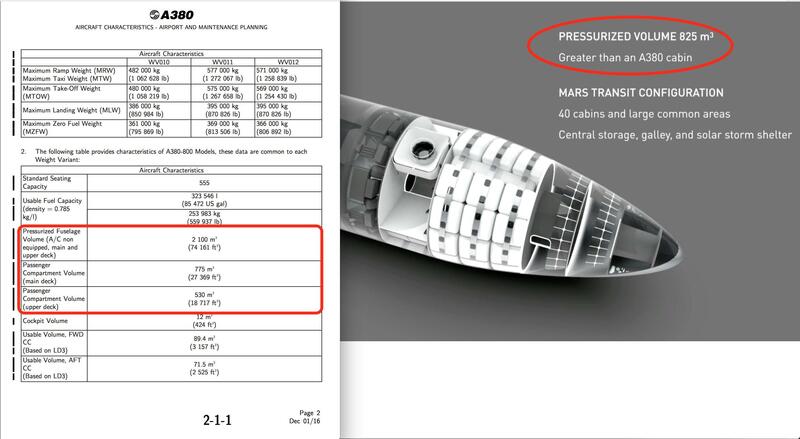 Even with the really low capital cost, it is hard for me to see the business case closing with these assumptions if the BFR booster will take eight times the Falcon 9’s propellant for eight times the payload ($200,000 for 22,800 kilograms and the expendable version of BFR might support about 183,000 kilograms). I had assumed only $500,000 for BFR booster propellant in my previous article, which may be too low. More generous assumptions on passengers and revenue per passenger are supported by the analogy to the Concorde. With inflation, Concorde in 2024 prices is over $10,000 one-way and SpaceX could probably charge first-class prices on the NYC-Sydney route, which are $31,000 round trip next week and require two stops to go all first class ($14,000 for one-stop in business class). Also note that Concorde seats were narrow at 45 centimeters, which would allow 437 passengers for BFR (if using the densest all-economy configuration equivalent to an A380 main cabin.) With these new assumptions of more than four times the revenue per passenger and nearly twice as many passengers, the business case might close, but that might not be supported by very many city pairs. It is hard for me to see the business case closing with these assumptions if the BFR booster will take eight times the Falcon 9’s propellant for eight times the payload. Like SpaceX’s satellite venture, SpaceX may end up keeping control of the suborbital point-to-point operations so it can sell BFRs to the suborbital venture at marginal cost. It would not risk them being resold for orbital uses. Or SpaceX may only lease BFRs to point-to-point spacelines with a restriction that they not deliver anything to orbit or beyond. If the orbital customers cover the fixed costs, the point-to-point customers may only need to cover marginal production costs. But that undermines the case for spreading BFR fixed costs over a broader base. Other modes to get to the BFR? A causeway or undersea hyperloop might be another transportation mode to get to the launch platform. Fifty kilometers of undersea subway might cost several billion dollars so—probably not the best. The causeway might work with a bus in Miami if the BFR does not launch out of Cape Canaveral (70 kilometers from Orlando airport). A similar situation might exist at the Boca Chica spaceport, which is about 30 kilometers from Brownsville airport (the bus, not the causeway). We will see if SpaceX can get a launch platform in Lake Michigan near Chicago. Perhaps SpaceX will offer passenger service from land facilities and fly BFR passenger flights from Cape Canaveral; Boca Chica; Spaceport America near Truth or Consequences, New Mexico for El Paso and Phoenix; or from the Oklahoma Air and Space Port, which might serve Dallas with a Boeing 767 (or 757) as the first leg. That might also work as a model for flying out of the Cape using the Shuttle Landing Facility as one way that passengers arrive. SpaceX keeps being audacious and keeps meeting its goals, albeit often somewhat later than Elon Musk promises. Having the urgency to get to Mars means that development of the Mars rocket comes first and the business case for what else to do with it comes later. The suborbital point-to-point market may become a niche market like Concorde, or it may become the largest market revenue market for rockets in the solar system even if the passenger seat kilometers are highest for the Mars flights. With the promise to link city pairs that are out of range of existing non-stop flights, suborbital may be the new best mode of transportation for city pairs that are more than 14,000 and 15,000 kilometers apart, like Dubai-Auckland or Delhi-San Francisco. Opening New York-Sydney is 16,000 kilometers. Hong Kong to Buenos Aires is 18,500 kilometers. Barcelona to Auckland is 19,000 kilometers, as is Bogota to Singapore. Buenos Aires to Pyongyang is 19,500 kilometers, and connecting North Korea with fair winds seems like a laudable goal.